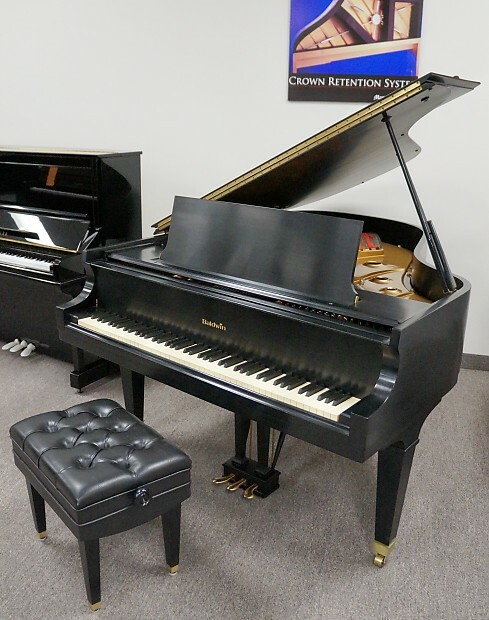 Baldwin L Grand Piano Ebony Satin 6'3"
Concert 5.10 Grand Piano measures 5.10' in length. New Langer HP Action is highly responsive & maximizes German Abel Hammers and the Strunz Sounding Board for a rich, crisp tone. Concert 5.5 Grand Piano measures 5.10' in length. New Langer HP Action is highly responsive & maximizes German Abel Hammers and the Strunz Sounding Board for a rich, crisp tone. The Very life of the Piano lies at the Pianists Fingertips. The Keys are linked to the Strings by the Piano Action. Friedrich Piano Action ™ is part of a 126 Year Schiller Tradition. The perfect touch finds its mate with a fat rich sound from the emanating from the Roslau Blue Strings.